Lou never ceases to impress us with his vast knowledge. He shared with us some great tips and advice and gastronomic experiences when it comes to bugs. (Just in time for lunch). In a tough economy pest control operators need to really focus on unique marketing plans that work. 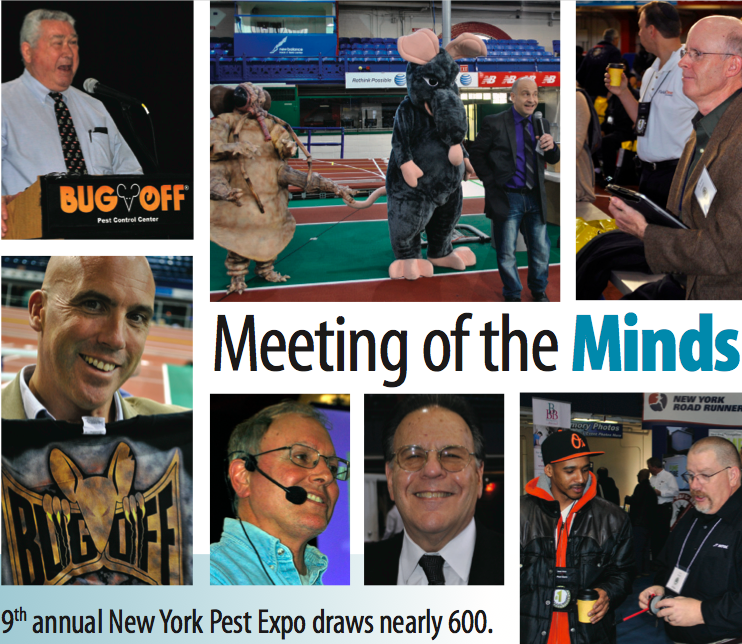 That’s why Bug Off Pest Control Center invited Harvey Goldglantz, one of the industry’s leading marketing specialists, to the 2011 New York Pest Expo. Harvey presented Implementing Direct Marketing and E-Marketing Programs – a fast-paced and information-packed session about Direct Marketing, Internet Marketing and E-Mail broadcasting programs. If you blinked, you may have missed something that could make or save you thousands of dollars. 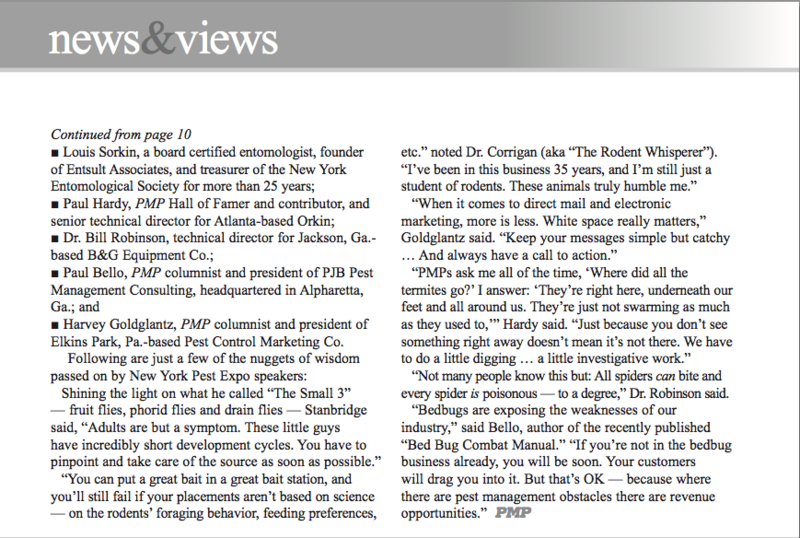 We want to thank Marty Whitford, Publisher and Editorial Director at Pest Management Professional Magazine for this great write up! 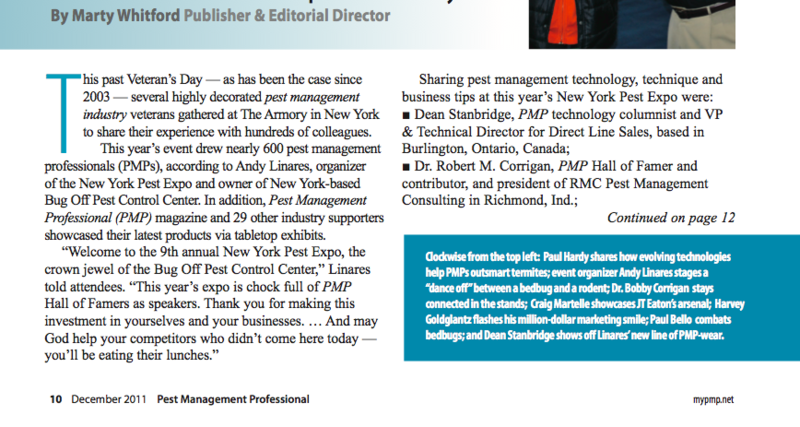 Look for this and more from PMP Magazine this December folks. Again, thanks!